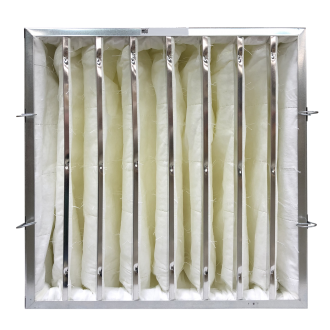 OmniAire 2200CBF Bag Filter is a construction grade air scrubber equipped with a 95% ASHRAE bag filter and 2-stage pre-filter. The economical bag filter has a high capacity to collect bulk dust from cutting or grinding of concrete, wood or plaster, great for containment of silica, plaster, wood and other construction dust. 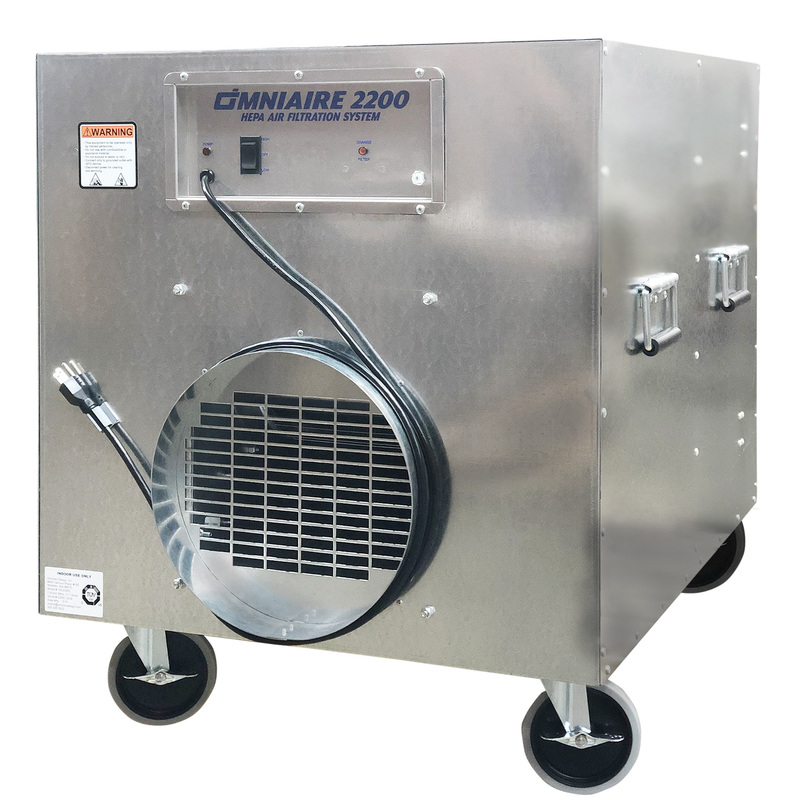 This negative air machine can be used on projects where dust control is necessary but HEPA filtration is not a requirement but then easily switched over with a simple filter swap to a 12” deep HEPA 99.97%, 0.3 μ filter, or HEPA 99.99%, 0.3 μ filter (HEPA filters sold separately). For your safety, the OmniAire 2200CBF is OSHA, UL and CSA/IEC compliant for electrical safety. Cabinet: Galvanized metal, closed end rivet construction. All seams are silicone sealed before riveting.